Fast forward to the Blue Mosque a day later, where I was again confronted with the culture of Islam. I was well aware of the process visitors to the mosque must follow before entering: shoes off and bagged before stepping on the entrance platform. Armed with knowledge, I was prepared to do just that. But before I could begin stripping my shoes off I received dirty looks and barking orders to go above and beyond what the others were doing: not only strip my shoes off but also take off my socks. This struck me as odd because everyone was going in with socks, but the security people adamantly wanted me to also remove my socks. I realized soon enough these people saw my time-worn military boots — replete with a few holes and a splash of mud puddle on top — as a potential sacrilege waiting to happen. I was DIRTY in their eyes. To likely exaggerate a little, I was outcast unclean, an ignorant Westerner who could easily bring shame upon the mosque and Islam. Truth be told, it was likely a much milder sentiment of “a clean mosque is praiseworthy,” but I still felt the security people were unnecessarily astringent with me regarding the socks (which were free of any specks of dirt). I looked around again and saw a man standing at the doorway on the evens side. I asked if he understood English. He understood a little, and asked me for the name of the place I was looking for. I shrugged and told him the place has no name. “No no no, you know, the name of the place. What is it called?” he asked. I repeated myself: it has no name, but the address is 7B. He shrugged and essentially ignored me at that point. I checked the address again on my smart phone and looked where 7B roughly should be. It was then I noticed though all the doors were closed there was a portable heater outside one of the doors. I frowned and timidly tugged at the non-descript, non-addressed brown door which blended in perfectly with drab brown of the building’s exterior, expecting the door not to budge. But it did, and I peeked inside. I must have looked like quite the foreigner as I did so, trying to ask in Turkish if the address of the place was 7B. But it was, and I entered into what would turn out to be a fantastic evening of bilingual conversation and some of the priciest yet tastiest cocktails I ever had. I learned of Alex and his trade, why he was in Istanbul, and what he planned on doing with the bar. I spoke with bilingual Turks, Brits, and Spaniards from all walks of life. I spoke with a lovely Turkish woman named Begum for much of the night learning about her, her friends, and her philosophical studies. And I drank cocktails that were fluently mixed to perfection. Before I knew it I had spent nearly seven hours and an untold amount of money at this bar, but I enjoyed every bit of it. If you’re ever in Istanbul, I hope you find The Bar with No Name too, and tell Alex I sent you. EDIT: There’s a third bit of commentary I wanted to relate but forgot. It made a big impression on me. The last morning I was in Istanbul, I woke up early to take in as much as I could before I had to leave, including seeing the Süleymaniye Mosque. The Süleymaniye is located west of the New Mosque and Spice Bazaar, and I thought it would be easy to get to it. However, I ended up taking a wrong turn somewhere, and it put me northwest of the mosque in an area which I can only describe as a slum. It actually looked like an earthquake-stricken zone. Buildings were crumbling, leaving me to wonder how many of them were even standing. And as I walked through the area, I could see it on the faces of the locals who lived in this poverty: a heaviness of heart and a look of “who is this stranger and why is he here?” I imagine most tourists don’t wander into these slums, so when one does, it must look strange. I’m not sure what the local government’s take on this is, if there even is one. Maybe looks are deceiving, but I can’t help but think the people living in this area are in really bad shape. Find below a mix of travel tips injected with a few personal anecdotes along the way. Enjoy. 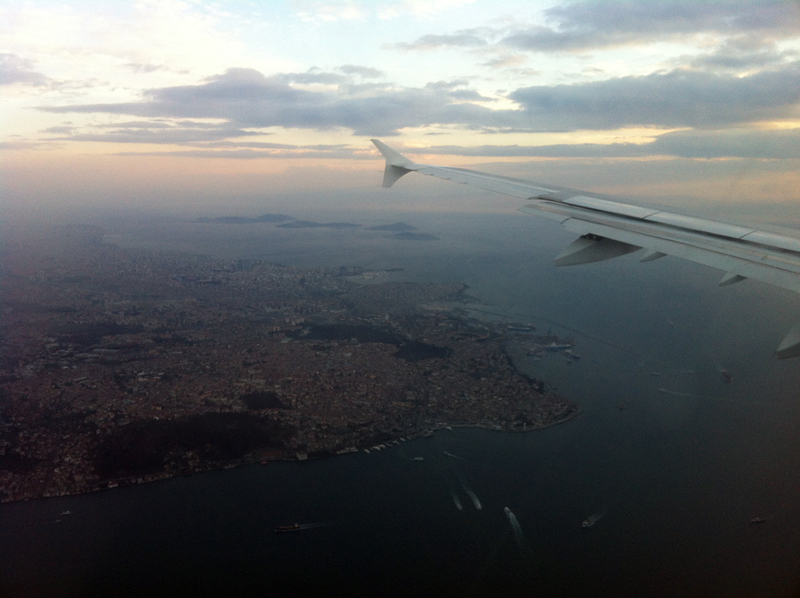 Personal: Entering Istanbul – visa, fees, etc. Visa station? Yes, it’s important you don’t rush headstrong directly to the passport control area. You must purchase a visa stamp before going through passport control. If you do not, you will be directed to return to the visa station to buy your visa. Understandably, if the lines are long, this can be especially frustrating. I arrived on a Wednesday afternoon, and lines were thankfully very short. Don’t forget: visa first! When you have gone through passport control and have your bags, follow the signs with the Metro logo. When you get to the Metro area, look for a machine labeled “Istanbulkart.” Unless you’re only passing through the city and won’t be using the public transit (or if you’re only there for a day, for example), I would recommend buying one of these RFID-based fare cards. It costs TL10 just for the card. That sadly doesn’t give you any credit for the turnstiles, so you’ll have to add credit to your Istanbulkart. I had to use a separate machine for that, but both were next to each other. If you’re going to the city proper, you’re more than likely going to have to at least transfer once. Get on a Metro train bound for Aksaray. (They all do; you can’t take the wrong train at this point. Be vigilant for pickpockets!) This is labeled as the M1a on the Metro map, with your starting point being “Havalimanı.” You’re going to ride on that train until you get to Zeytinburnu. You’ll get off at that station and look for signs pointing you out of the station towards a new set of trains. For me, I simply got off the train, found some signs above a turnstile, exited, and walked down a ramp located next to the station. You’ll see the two light-rail tracks immediately with a couple of platforms. Safely cross the tracks before you get to the exit turnstiles and choose the train destined for Eminönü or Kabataş. (For me it was on the side farthest away from the station I just left.) This line is labeled T1 on the Metro map. From there, know what stop you’re getting off at. For me it was Sirkeci, and the trip took about 40+ minutes. Other popular stops for tourist-based accommodations on this line (for the European side) are Sultanahmet and Eminönü. Taksim is also indirectly accessible, though it takes another transfer to get there by Metro. It’s a little clunky to use, but this tool helped me find a “late-night” bus route from the Asian side in Kadıköy to the European side in Taksim. (That would be the 110, located at the bus terminal right outside the Kadıköy ferry station.) When looking for a particular bus number at the more busy bus terminals, look for sign posts at the entrance of each “lane.” That sign will tell you which buses can be found in that particular lane. There may or may not be a shelter for each bus. When I was in Kadıköy, I looked for the bus number on the outside of the shelter, only to later discover the number and timetables were inside on the back wall. Oh, and bus fares are double after midnight. Just a heads-up. Here is another resource (recent, from 2012) that may or may not be useful for you: Minibüs & dolmuş güzergahlari – Minibus & Dolmuş routes The comments are both in Turkish and English, but with a little help from Google Translate, you should be able to puzzle it out. I cannot vouch for the information; I never used a dolmuş while I was there. However, as the author of this particular post notes, with a distinct lack of information about these taxis on the Internet, this is better than nothing. The sidewalks of the city vary significantly in quality, from broad, flat sections of smooth paving stones to narrow, treacherous ruts. Quality shoes — and a mindful eye — will take you a long way. For the inevitable fall and winter rains (which can be somewhat unpredictable), add “water-resistant” to your footwear needs. 1. Kebaberies are everywhere. I felt like wading through the tangled thicket of kebab shops, while pleasing to the sense of smell, made it more difficult to find other more varied fare. I always had the nagging sense of wishing I had kebab blinders to block out their presence to make the other restaurants stand out. Perhaps I exaggerate, but that’s how I felt during my short stay. 2. There’s a wide variety of traditional local dishes which may or may not show up in some of the restaurants not shoveling out kebabs. One of the interesting bits about Turkey in general is the wide variety of crops it produces due to its diverse growing climates. That fact combined with a fairly strong sea influence on the culinary dishes of the country leads to a lot of possibilities at the dinner table. • hamsi, the European anchovy: These bad boys were jumping out of the water like cats, finding their way on to many dinner tables. Don’t scrunch your nose: these were surprisingly tasty. Read the series of tagged articles for more. • iskender kebab: This article was just recently published, but it sums up my experience with the dish: delightful. Vegetarians, please don’t look away. 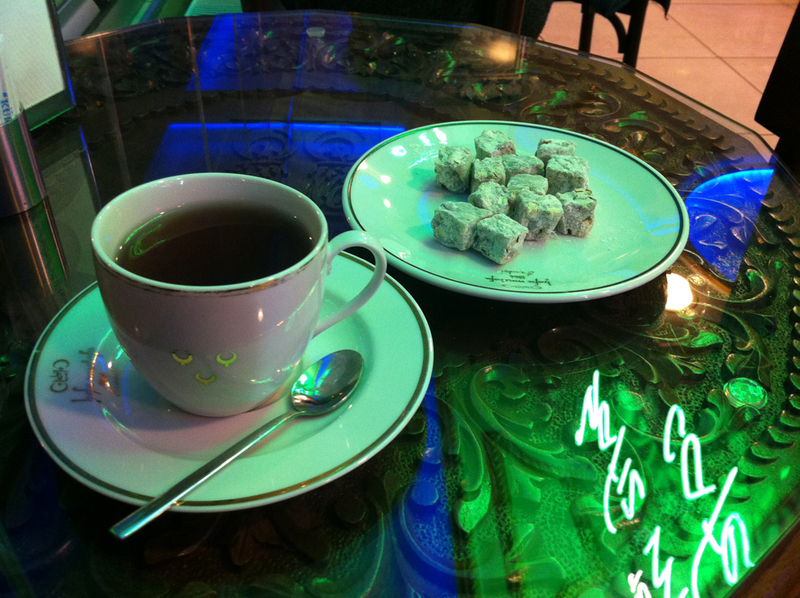 • Turkish delight aka lokum: Unless you’re allergic to nuts, I recommend the pistachio with a nice steaming cup of apple tea (elma çayi). I highly recommend the Hafiz Mustafa Cafe in Sirkeci for such a thing. • red lentil soup: I was in Istanbul during the winter, and this soup was everywhere. 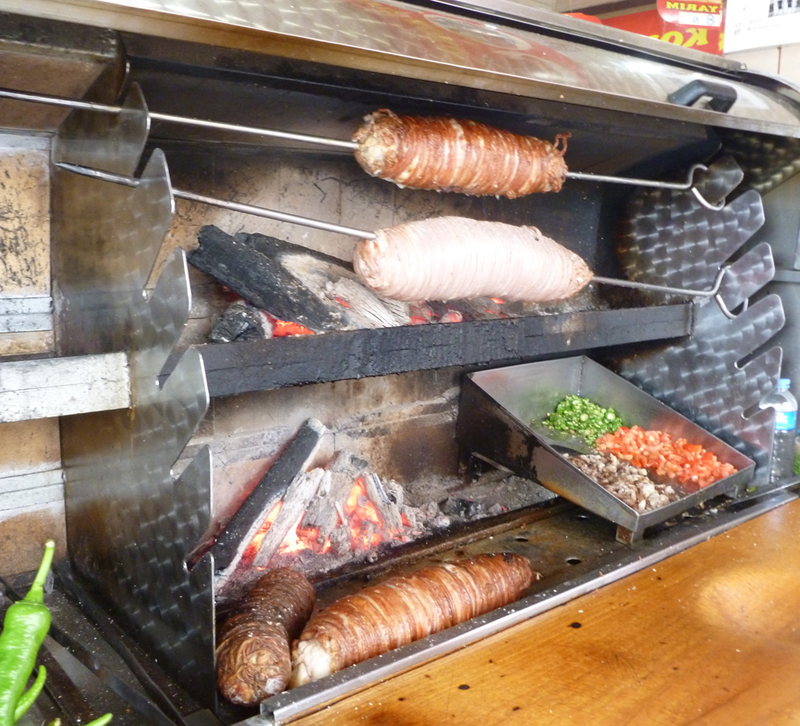 It’s a staple of the region and definitely worth a try on all but the hottest of days. Like any foreign place you visit, the tourist areas (as well as some non-tourist ones) will be rife with people looking to take advantage of your supposed ignorance. This is no different in Istanbul, and reading this guide saved me a few times. Bar and club scams: They DO exist, and it’s easy to fall prey to a veneer of kindness, especially when someone is speaking your native language. I was approached numerous times during my nightly wandering through Istanbul’s streets, and it was always the same. One or two people walk up to you and start a friendly conversation, typically in English, though these people often speak multiple languages. They may be direct and ask if you’re interested in stopping by a bar or club for a drink (they always know a great place to visit), or they may chat you up first, just to build up the friendliness. In the end they still ask if you want to go have a drink with them. Now it’s tempting to believe the occasional stranger wants to hang with you and have a few drinks, and perhaps there are a few who are genuinely interested in chatting up a foreigner. But overall, you have to believe most of the strangers inviting you out for drinks have a different agenda in mind. And it’s true. While I always politely but adamantly refused such offers for drinks, others have not done so, and apparently many have been scammed or worse in the process. There are several accounts of such victims in this article, and I suggest you read them. Remember, friends: be polite but firm in you refusal to go have a drink or two with strangers. This may be slightly different for market venders offering to barter with you over a tea. I personally was not offered tea by a market vendor during my bartering efforts, but supposedly it can happen. It’s reportedly courteous to accept the offer of tea, but feel free to use your own discretion in this situation. The guidance above primarily pertains to bar and club participation with alcoholic beverages. The shoe shine scam: When I read about this scam, I thought “nahhh, won’t happen.” And it almost didn’t until my penultimate day in Istanbul. What is the shoe shine scam? 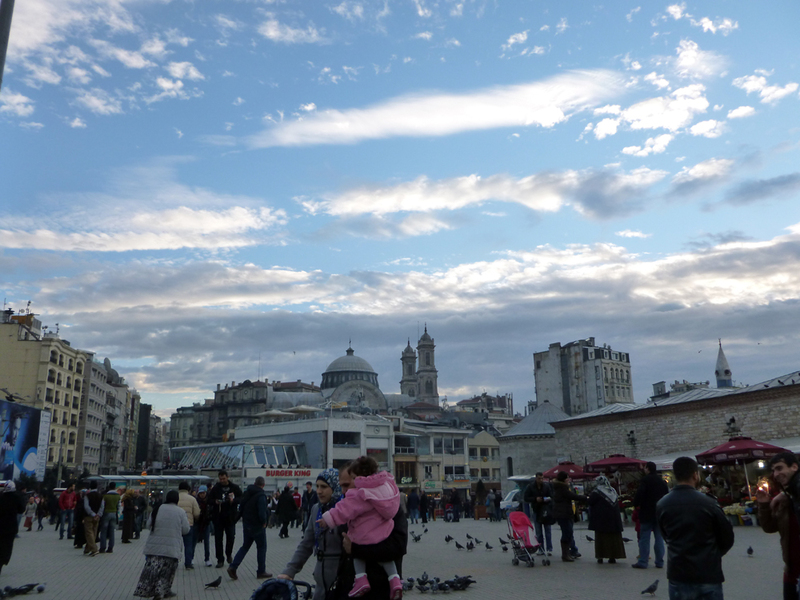 I was walking through the tourist-laden plaza of Taksim on a Sunday afternoon, acting like I had a place to go (which I did; it was time for a respite of tea and people watching). I walked near a middle-aged man gathering his equipment just as I was approaching. Hrmmm. He briskly walked past me, dropping his brush just ahead of my path. In this moment I had a decision to make. You and I would normally be tempted to pick up that brush and tell the man he dropped it. But two things factored into my decision, which was to walk past the brush, smiling with smugness. First, I fell for a similar tactic at a bus station in Madrid, Spain a few years back when someone walked past me and dropped a pair of sunglasses as I was gathering my things from the underside of the bus. OH! Nice little me has to politely pick them up and give them to the person, and in a matter of ten seconds, my laptop was pilfered from behind me. (Tip: avoid laptop bags when traveling. If you do, you make yourself a target.) Aside from that, reading about this shoe shine scam also prepared me to not pick up the brush, instead chuckling at the guy as he gruffly retrieved his brush after realizing I wasn’t going to pick it up. Apparently picking up the brush leads to a chat and either a free or discounted shoe shine which is neither free nor discounted. Just watch the brush drop and walk on, my friends. Female safety: I actually don’t have much to contribute regarding this, but I’m cognizant Western women may have their own set of issues to deal with in Istanbul. Like other Muslim countries, there is a modern debate on the status of women in Islam, and progress is occurring. While it’s likely non-Muslim Western women visiting the city won’t have too many issues concerning dress code — especially if a little restraint is shown in clothing style — and entrance into mosques, stalking of women has been known to occur. Reference the WikiTravel guide for more information. Please, if you are a woman considering travel to Istanbul or other parts of Turkey, do not let this news dissuade you. I strongly believe the sad death of Ms. Sierra shouldn’t stop you, but rather, I suggest you educate yourself about the potential risks, even if they are slight. Bly actually states almost identical advice to what I stated above: “dressing neatly and conservatively and adapting a more reserved demeanor” is probably a good thing to do. GO! Enjoy Turkey. And if you’re traveling solo, research a bit before you go, regardless of gender. Misc. : Aside from those things, the only other scam I was observer to was some severe price inflation in a few of the more touristy areas. The guide mentions being wary of menus with marker on them, but I saw them in the hands of both tourists and Turks in so many places, it’s hard for me to say with only five days of travel there if you should walk out of any restaurant with menus in marker. I actually had a long chat (granted, in English) with the owner of a restaurant in Sirkeci who swore to all that was holy his markered menu was given to tourists and locals alike. Be courteous in such situations, and if you must err, do so on the side of caution. By the way, the “stay safe” section wasn’t the only useful part of the guide. I recommend reading the whole article. I actually saved it as a PDF and loaded it on to my smart phone. I actually didn’t use or heed too many of these, but a few of them were useful. I was reminded a mostly absent-minded gesture such as crossing the legs — with bottom of foot potentially pointing at someone — may be perceived as disrespectful. 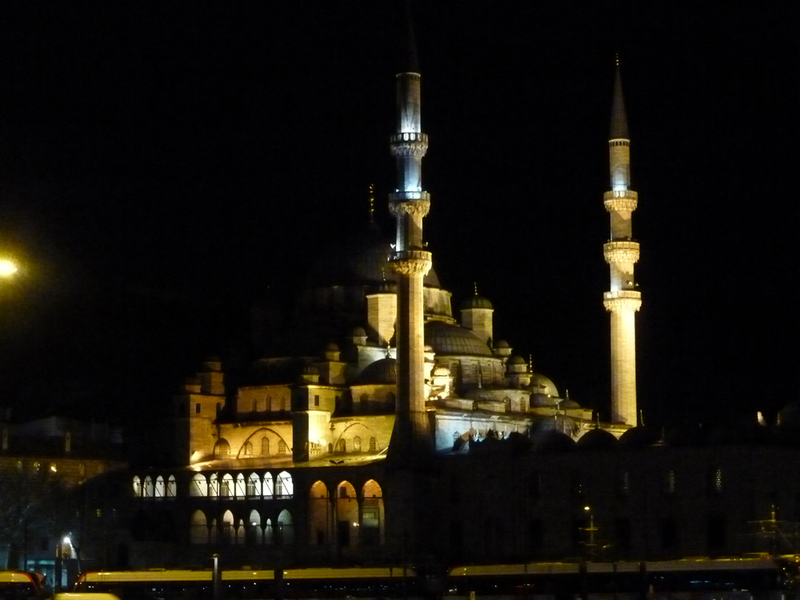 (This relates to the whole feet unclean idea; see my experience outside the Blue Mosque.) I also have the personal habit of snapping my fingers and popping the top of my fist with the palm of my hand. Apparently that’s potentially disrespectful as well. Also be careful with the forefinger-to-thumb, closed circle “OK” sign; you don’t want to erroneously accuse someone of being a homosexual. Finally, I noticed very few people, if any, blew their nose in public. Apparently it’s quite rude to do it loudly. I blew my nose a few times in public, but I did it as quietly as possible. I definitely recommend reading over the whole list, however. 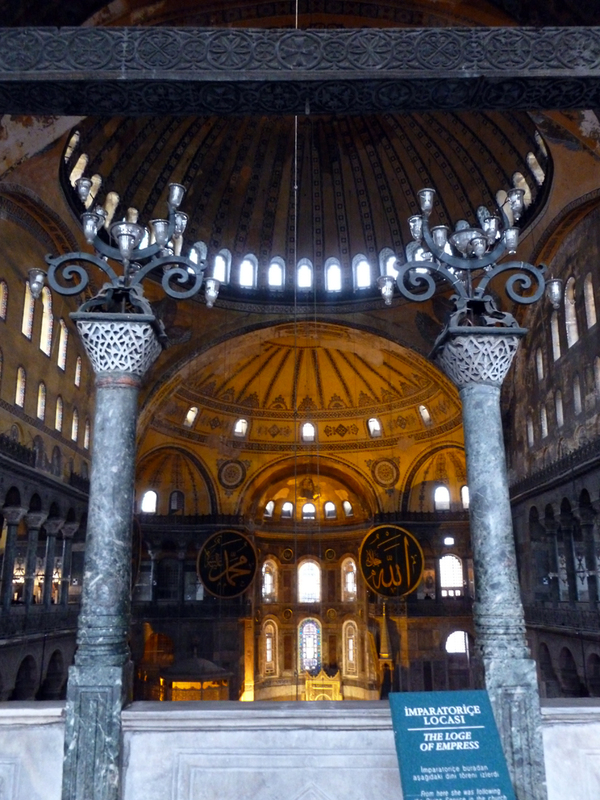 • Hagia Sofia: I was recently talking to my friends Anne and Brian about my experience with the Hagia Sofia (Turkish: Ayasofya). I described it as one of my favorite things about visiting Istanbul despite how cliché that may sound. But there’s a damn good reason why so many people are awed by it. It was the most massive cathedral for centuries until the cathedral in Seville, Spain was completed. (I’ve seen that one too, and it’s almost equally mind-blowing.) And more than a few architects have apparently been influenced by the Hagia. I can’t stress enough visiting this fine and ever-so historic structure. Do it on a weekday for slightly smaller crowds. • Turkish bath aka hamam: It’s worth trying once, though you’ll likely note most major hamam are highly organized to cater to tourists. For example, the historic Cagaloglu Hamam just north of Sultanahmet is definitely tourist-friendly and worth a visit, but you’ll pay a minimum of TL72 for just the basics. Like many hamam there are two separate entrances, one for males and one for females. 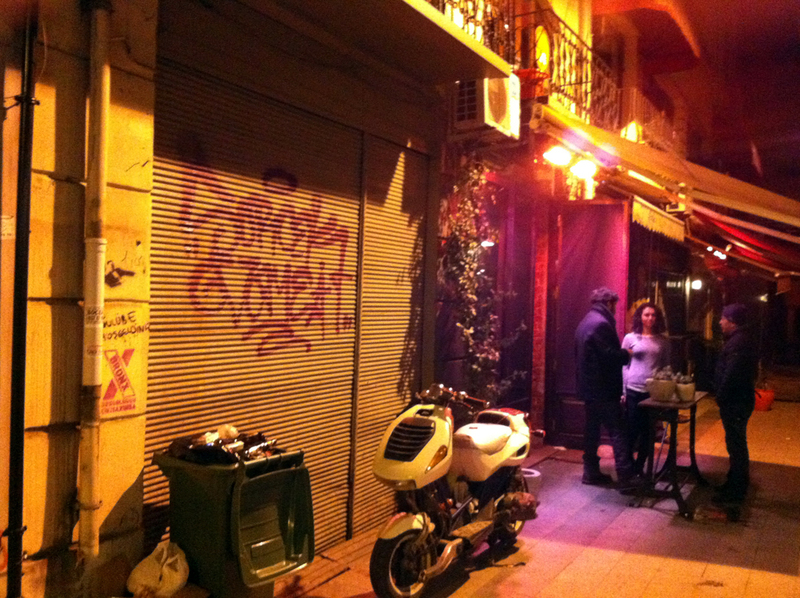 • arkaoda: This is a lovely little bar on the Asian side of Istanbul, in the area of Kadıköy on the hip street of Kadife Sokak. There’s a nice vibe going on in this area, and arkaoda plays an important part of it. It’s easy to miss because there’s no obvious sign outside the place, but when you do find it, it’s a lovely place to spend an evening carousing and listening to a wide variety of music. Check the website ahead of time to see the schedule of music and art activities. While you’re over there, find the nearby Borsam Taşfırını at Serasker Caddesi No.78. The eats are cheap, tasty, and filling. Note: If you’re staying on the European side, you’ll take the ferry to Kadıköy, likely from Eminönü. To get back at night, see the previous section “Getting Around.” Riding the 110 to Taksim and then walking or taking a cab may be your best option back to the other side if it’s late. • Dolmabahçe Palace: A guidebook I referenced for this place says “[t]he extravagant opulence of the Dolmabahçe belies the fact that it was built when the Ottoman Empire was in decline.” For certain, there’s some “opulence” up in that house: imported furniture, fine dining ware, and glass staircases abound. Only guided tours are given, however, and I was further annoyed by their strict “no photos or video” policy. There are two tours: Selamlık and the extended tour that includes the Harem. I took the Selamlık, which cost TL30. Despite the no-photo policy and being forced through the palace like cattle, it was still worth it to me. It has less historical gusto than Topkapı Palace, but you get to soak up the entire Atatürk experience. I can see how others may not be so impressed. • Aslıhan Pasajı and the book market: Personally this is a “yes, please!” The truth is, however, not everyone gets the same thrill I do out of browsing through a warren of old books. Many guidebooks will tell you about the book stalls near the University, but most of those stalls have new or slightly used books, most of them the same. 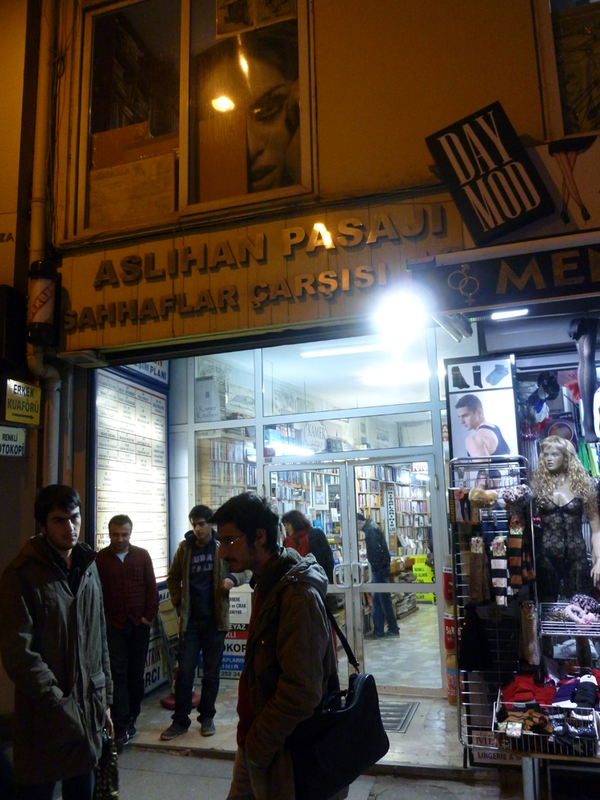 However, I accidentally stumbled on the Aslıhan Pasajı shopping center while exploring Taksim. The place is located on the corner of İstiklâl Caddesi and Meşrutiyet Caddesi, basically right off the main drag of Taksim. If you love the thought of browsing through books in tens of different languages on a plethora of topics, you have to stop here. If books aren’t your thing, then perhaps not. • Don’t bother with the Bosphorus cruise. You’ll see enough of the waterways on the ferries and roaming the city. Instead consider taking the ferries out to the Prince’s Islands.